Small businesses affected by the gas fires and explosions in Merrimack Valley can now apply for help. Small business owners impacted by the Merrimack Valley gas explosions in September can now apply for $50,000 loans. The loans, which will come from a $1 million emergency fund organized by the state, will be interest-free and won't require payments for six months. Small businesses in the Massachusetts communities of Lawrence, Andover and North Andover are eligible. "I will be grateful for any type of help that I can get," said Rudy David, who owns David Cuts Barbershop on Winthrop Avenue in Lawrence. 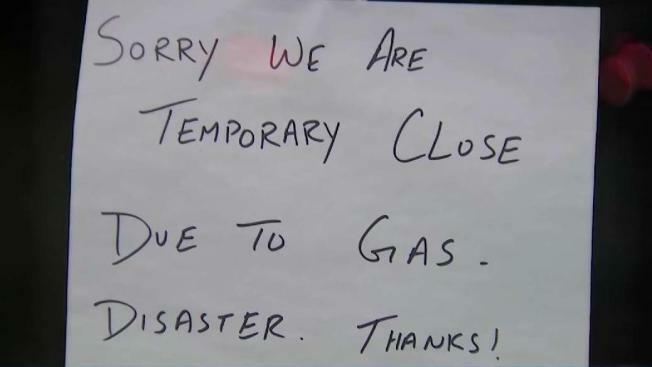 "Being closed four days — it was horrible. And then after the four days, we went another three days without business." "We have heard from different people that are closed," said Frank Carvalho, the CEO of Mills Cities Community Investments, the company managing the loans. "And some that are trying to get their business open again." Carvalho said he expects to receive as many as 100 applications, which he said will be processed within 24 to 48 hours.